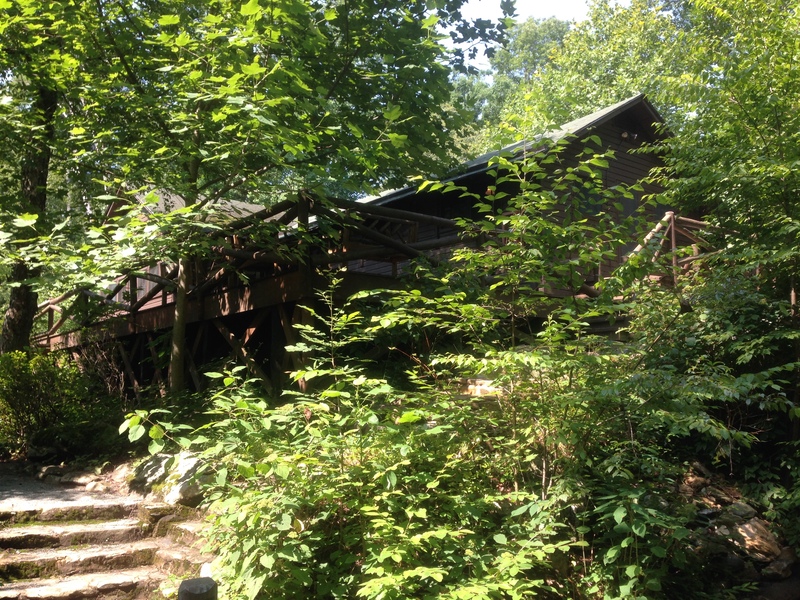 On Thursday, August 7, Karen and I took on the 7.4 mile trek identified in Hiking Shenandoah National Park as “Rapidan Camp–Laurel Prong–Hazeltop Loop.” The 2.1 jaunt down the gentle descent of the Mill Prong Trail to Rapidan Camp, Herbert Hoover’s old retreat, was really quite easy. 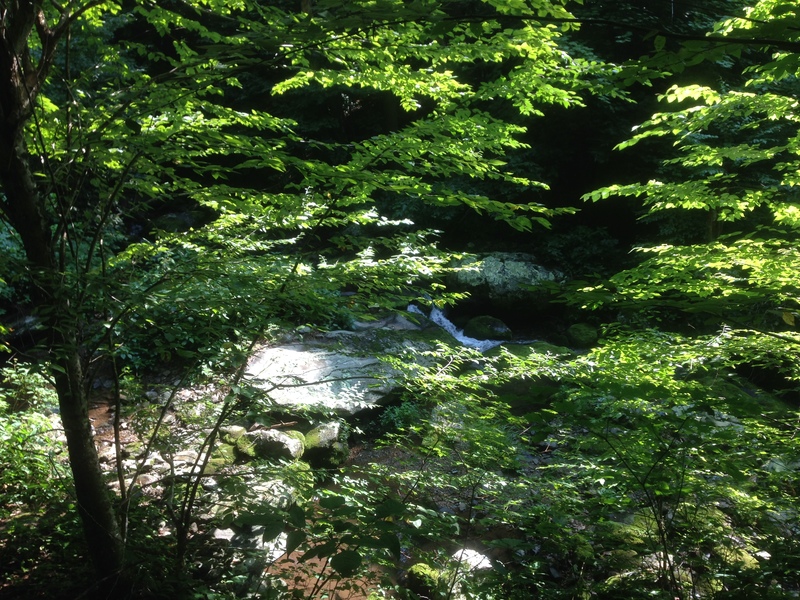 Several times the path crossed a creek, the Mill Prong, but even these crossings occasioned no anxiety. 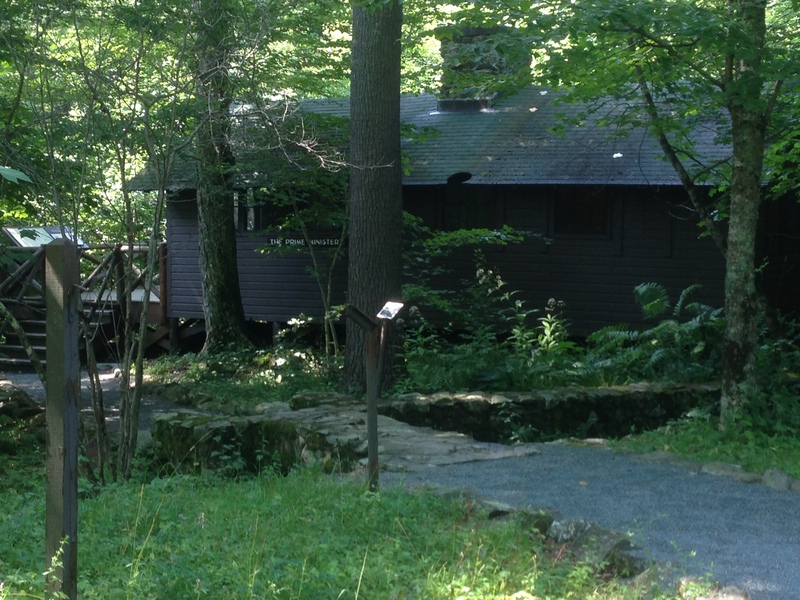 At the bottom of the trail lay Rapidan Camp, the three buildings that remain of the old presidential establishment. Evan, a student from American University who was finishing his internship at Shenandoah, gave Karen and me the tour of the Brown House and then cheerfully agreed to take our photo. The hike along the Laurel Prong Trail up to the Appalachian Trail, and then the short distance along the A.T. up to the peak of Hazeltop was more challenging, but I certainly wouldn’t say, as the Falcon Guide book says, that the difficulty level was “strenuous.” At least, it wasn’t in the same category as the Cedar Run and Whiteoak Canyon loop. Hazeltop offered a panoramic view, and Karen and I took a short break there, on the rocks, before proceeding down the easy incline of the A.T. All-in-all, the hike was very pleasant and serene. We met no one on the trail until we got upon the A.T. As Karen observed, even the birds seemed unusually quiet. 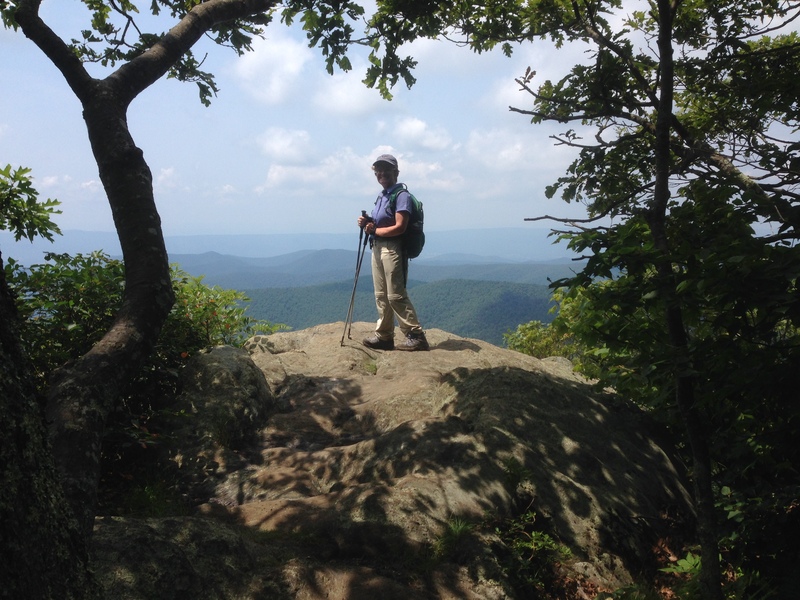 This entry was posted in Birch's Jots on Jaunts, Virginia Hikes and tagged Day Hike, Shenandoah by Birch. Bookmark the permalink.